Call me mad, but I get excited when I discover a brand that promises to do something brilliant to my skin. Call me romantic, but it's even better when it comes with an incredible backstory. 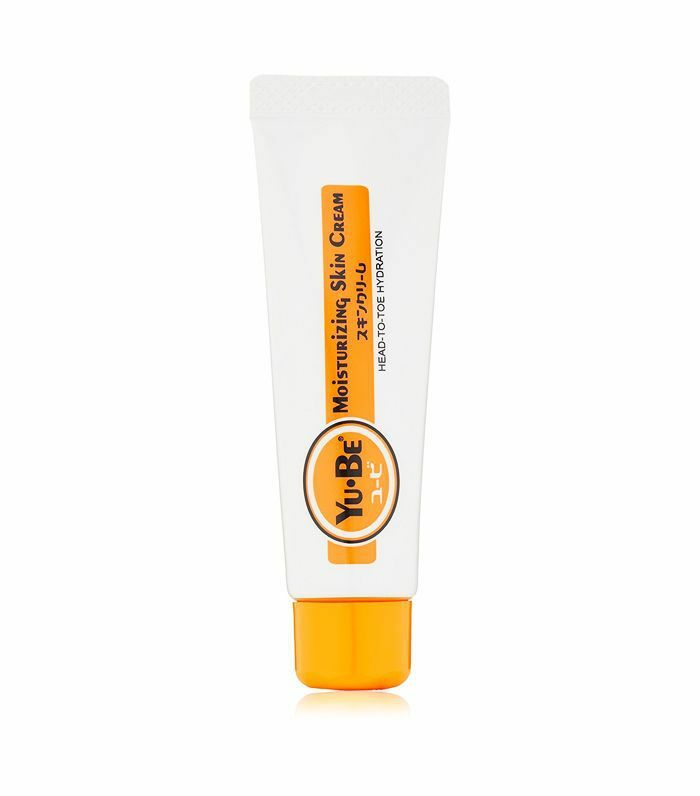 Yu-Be moisturising skin cream originally comes from Japan and was invented by a pharmacist in the 1950s, and ever since it has been Japan's top-selling skincare cream. Not only that, but the first Japanese female mountain climber to go up Mount Everest, Sumiyo Tsuzuki, only took a tube of Yu-Be with her to ensure her skin was moisturised at the summit. That's a serious dedication to a skincare regimen. The real question, however, is did it work for me? Keep scrolling to read the review and to find out where to shop it right now. If you're a fan of any other all-rounder creams (think Calendula, Sudocrem, or even Elizabeth Arden Eight Hour Cream), then you'll be pleased to know that this is kind of similar. Slather it on dry patches of skin anywhere on your body, and it will immediately sink in. The difference, however, is that it's very much a cream rather than an ointment. Anyone who hates greasy products will revel in the fact that this will leave the skin feeling hydrated but not oily. Last weekend when the skin on my feet was particularly dry (thanks, summer and sandals), I used it all over, and I'm still feeling the softening effects now. The only place I wouldn't use it is on my lips, but that's hardly a negative when it works so well everywhere else. So what's in it that gives you such soft skin? The glycerin-based moisturising cream also contains vitamins E and B2. It's unique in that it has a high content of glycerin, which helps to soothe dry skin better than other creams. While I didn't get the chance to put it to the test in extreme conditions (not unless you count the London Underground), the cream is meant to last when exposed to the cold, wind, water and sun. While you might not be preparing to climb Mount Everest, the fact that it's so powerful is pretty impressive. This just in: New beauty products worth talking about.